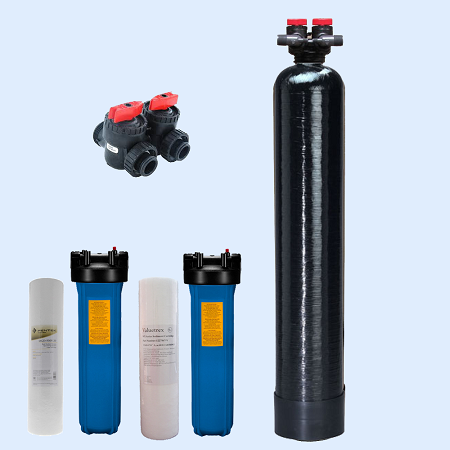 The Up-flow Non-Backwash Catalytic Carbon Filters are a simple, low cost method for treating city or municipal water to reduce chloramine taste and odor, hydrogen sulfide, and chlorine taste and odor and (Winnipeg Brown Water) Sediment particals. 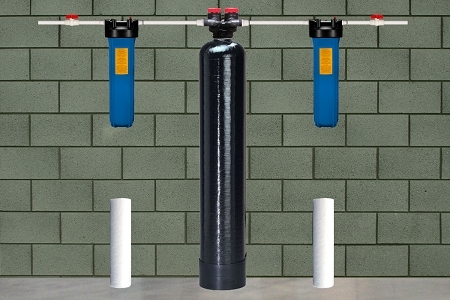 These up-flow filters require no electricity and require no drain connections to operate. The water simply enters the tube down the center of the tank and comes up through the activated catalytic carbon media, lifting the media to prevent any channeling.